The days are starting to blend into one another now. We are 75 percent of the way through our Bass season, that doesn’t mean the fish won’t still be here after July 1st, it just mean that we won’t be chasing them all over the ocean anymore. Ok, so maybe we will a little, but mostly we will be targeting Fluke and Sea Bass. 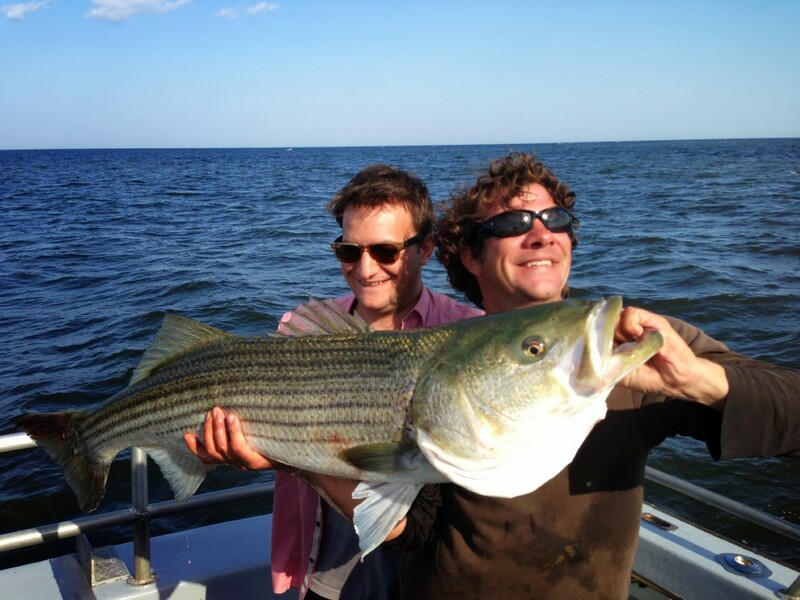 We are catching some very big Stripers right now. 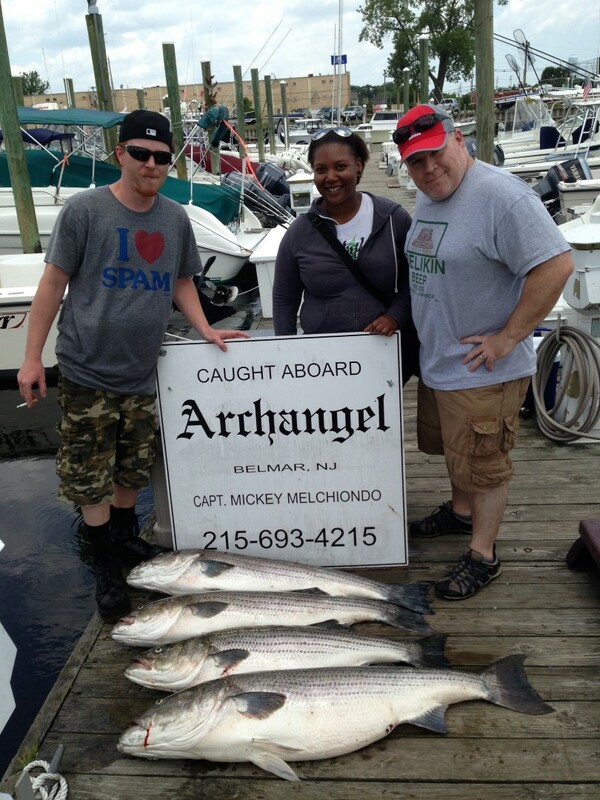 I had Dan, Chris, and Natalia on the boat for one of the more memorable fishing trips ever. 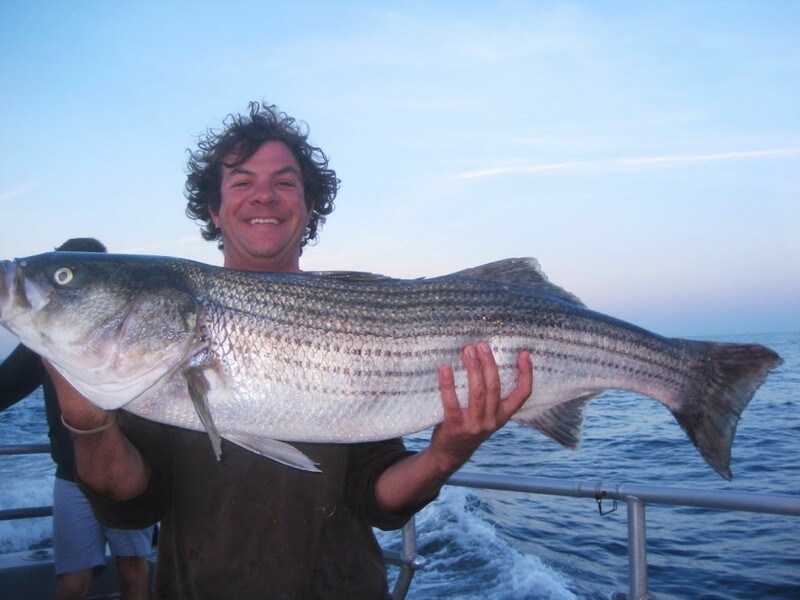 Natalia caught one of the longest Bass I’ve ever seen in my life at 52 inches, we knew it was going to be darn close to 50 lbs ( a milestone for every Striper fisherman) but we wanted to make it official so we had it weighed in at Shark River Yacht Club. 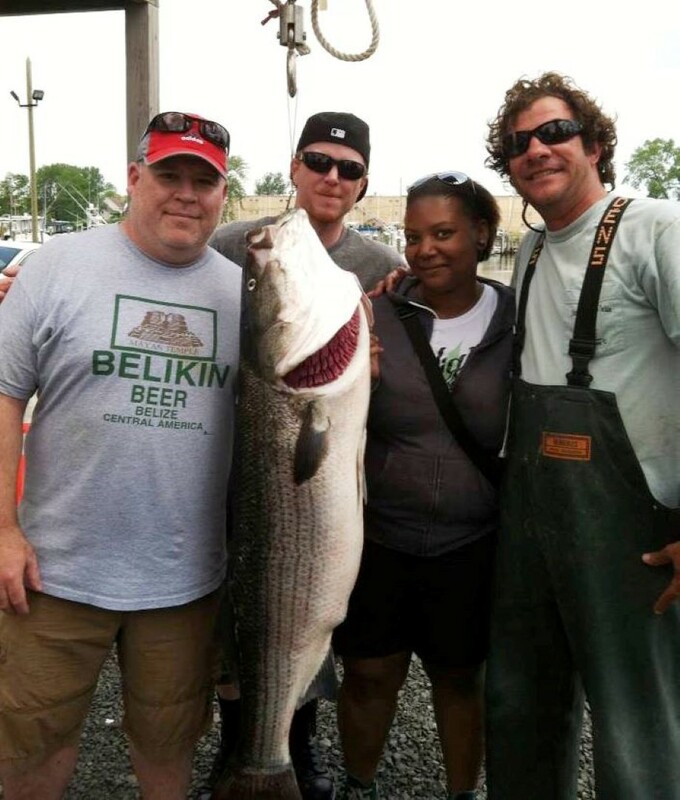 When the scale finally stopped swaying Natalia officially had herself a 49.1 pound Striper, one hell of a fish. Oh yeah, we also caught another 3 fish, one of which was just 4 lbs. lighter. An absolutely incredible day. Later on I had a bachelor party that had been rescheduled once before and we went back to the same place that we’ve been finding fish the past 6 weeks and they were still there. Swimming large live baits from a 60 foot head boat is not the easiest task in the world, me and Timmy the mate had a heck of a time trying to keep track of where the baits were going amidst the normal revelry of a bachelor party but we did end up with some beautiful fish. This was one of the more fun bachelor party trips I’ve ever hosted. 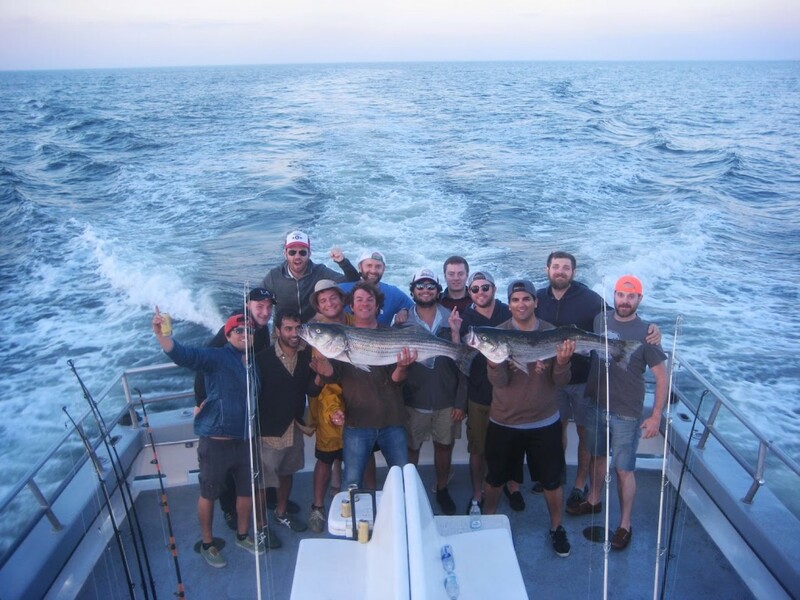 I offered them the option of fishing for Sea Bass (a lot of fish, but not as big), or Striper Fishing and trying to get the groom a trophy fish. It was a no-brainer for them and the right decision as it turns out. Thanks to Captain Steve as always for giving it hell.